In recent years, scientific and technological developments have drastically changed life on our planet as well as our views both of ourselves as individuals in society and of entire Universe as a whole. Technology refers to the ways in which people use discoveries to satisfy needs and desires, to alter the environment, to improve their lives. Throughout human history, men and women have invented tools, machines, materials and techniques, to make their lives easier. The scientific revolution that began in the 16th century was the first time that science and technology began to work together. Thus, Galileo, who made revolutionary discoveries in astronomy and physics, also built an improved telescope and patented a system of lifting water. However, it was not until the 19th century that technology truly was based on science and inventors began to build on the work of scientists. For example, Thomas Edison built on the early experiments of Faraday and Henry in his invention of the first practical system of electrical lighting. So too, Edison carried on his investigations until he found the carbon filament for the electric bulb in a research laboratory. This was the first true modem technological research. Найдите в тексте синонимы к следующим словам и запишите их. Up-to-date, progress, possibilities, precise, requirements, to change, to make better, quantity, usually, clean, to apply. Найдите русские эквиваленты к следующим английским словам запомните их. 3) this, research, first, technological, was, modern, the. l)Why do many modern technologies depend on science? 2) What is a technology in a narrow sense? 3) Why do we say that we live in the age of science and technology? a) lived and worked in the 1970s. b) until he found the filament for the electric bulb. c) with new instruments for its investigation and research. d) on science and the application of scientific knowledge. e) is the history of all mankind. 2. Прочитайте следующие утверждения и определите, являются ли они согласно тексту верными (Т), неверными (F) или не обсуждаются вообще (N). Science and technology are not related at all. 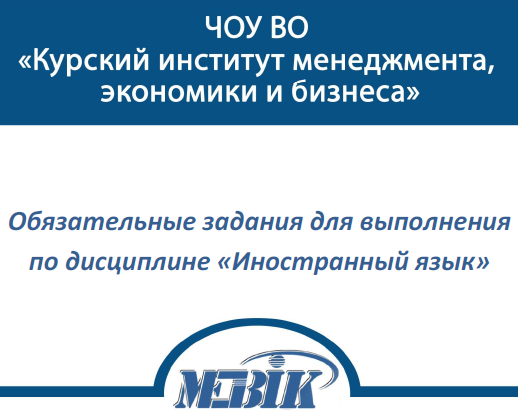 The application of the latest achievements in industry demands great knowledge and good polytechnical training. The scientific revolution began in the 16th century. Galileo made revolutionary discoveries in astronomy and physics. Faraday found the filament for the electric bulb. 3. Расположите следующие предложения в таком порядке, чтобы получилось краткое изложение содержания текста. The history of science and technology is the history of all mankind. Today science and technology are closely related. Scientific and technological developments have changed life on our planet. Throughout human history men and women have invented tools, machines, materials and techniques to make their lives easier. 90 % of all the scientists lived and worked in the 1970-s. It hasn’t rained/didn’train this week. Исправьте ошибки в предложениях. Правильные предложения отметьте словом «RIGHT». 3. Дайте полный ответ на вопросы. Пример: When did you go to the theatre? (last Saturday) -1 went to the theatre last Saturday. Внимательно прочитайте предложения и вставьте глагол в правильном времени – Past Simple или Present Perfect. a) I… my key last Monday. b) I… ту key, I can’t open the door. a) They … together for 3 years. b) My cousin … in the countryside when he was little. a) … you … to the party? b) … she … to the party already? a) My eldest son … from University in 2010.
b) I just … from my University. a) When … you … from them last time? b) … you … anything from him recently?